If you’re not already, you need to hire a Sarasota SEO company. Today consumers are turning to the internet to find the products and services they want. Local areas in Sarasota and Manatee County must be found during these internet searches to have a chance of getting the transactions that will result from these web searches. From an advertising and marketing stand point, there is nothing more important to companies than being able to capture this business. The problem is the internet is massive. A local Sarasota company is lost like a grain of sand on the Gulf Beaches. National companies’ website’s dominate the broad search terms for most industries. However, most local Sarasota and Bradenton, Florida consumers are not looking for a company outside their local region. They are looking for companies in Sarasota, Bradenton, North Port, Venice, Osprey, Ellenton, Palmetto and even tighter geographic areas such as Longboat Key, Siesta Key and Anna Maria Island. For businesses in the Sarasota and Bradenton areas, the best way to bring in new business is through Local Sarasota SEO. Broad global internet searches are used when consumers are in the research mode of shopping. While conducting these broad searches that are not geographically specific, the consumer is usually just gathering information. Once the web surfer has finished their online research, they will start to focus the searches in to the geographic area they are in. Local Sarasota SEO is the process of bringing your website to the top of consumer’s web searches for a wide variety of search terms that include the geographic areas of Sarasota, Bradenton and the surrounding Florida areas from Ellenton to North Port. SEO, also known as search engine optimization, is used to gather leads with a local Florida SEO geographic orientation. It can be the single most powerful advertising and marketing tool a Sarasota and Bradenton based company can use. The reason your website is not being found is because the search engines are not identifying the website as important to the local searches being conducted. Most Sarasota businesses have their website created by a website designer. These website designers may be good at the design side of website creation, but they usually do local website optimization (SEO) as a side line or after thought. Without local Florida website optimization the site will never be found. All you will have is a website acting as an online brochure you can send people to, but it will never be found on its own. Local Florida search engine optimization will optimize your website for those consumers who are looking for businesses who can provide the products and services they want in Sarasota, Bradenton and the surrounding areas. A local Florida Search Engine Optimization (SEO) company should ideally be based in your local Florida geographic area. This gives you a special strategic advantage. 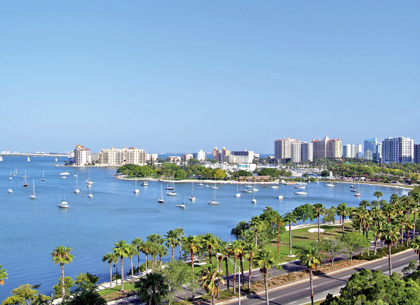 A Local Sarasota SEO will know how consumers conduct searches in your part of the state of Florida. At Strategic Media we specialize in search engine optimization. We use the best SEO practices to fine tune this process and produce consistent, long lasting results. We will get your website to the top of the organic searches (the search results that appear on the left side of the web search and are usually grouped 1-10. This is the area of the search page most often used by consumers). By applying ethical local SEO practices we are able to dramatically increase the local search traffic to our clients’ websites. Most of our clients experience a much greater traffic increase than the minimum we guarantee. With local Sarasota SEO services you will see an increase in visits to your website. Increased visits to your website results in new lead production, increased business and increased bottom line revenue. If there is only one thing you can do this year for advertising, let it be Local Sarasota SEO. The consumers who are looking for you and are located in Sarasota, Bradenton, North Port, Venice, Palmetto, Ellenton, Longboat Key, Siesta Key and Anna Maria Island are looking online. Only with the use of quality local SEO web design will your site be found. Included in our services is the placement of your company on Google Maps. This is one more way we provide you with the best local Sarasota SEO services available. Call today for a free website analysis.